My spring break week has been the shortest week ever. How can it be Friday already?! 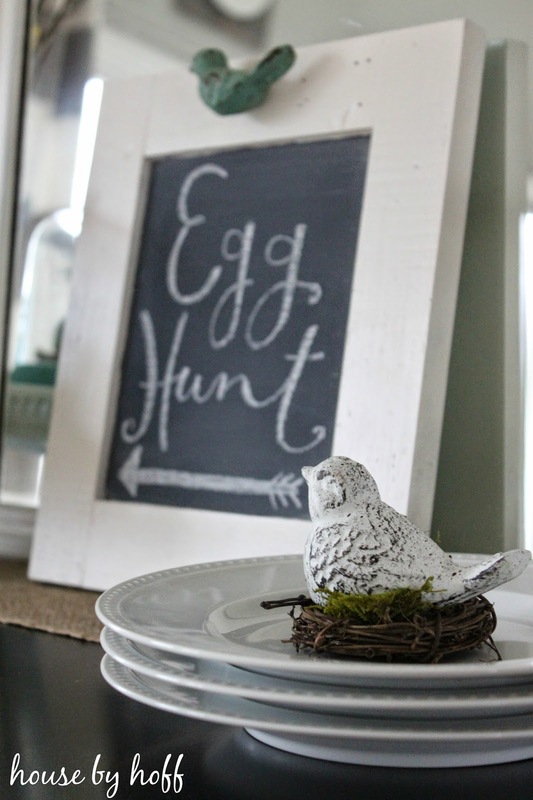 A week spent decorating is a week well-spent though. 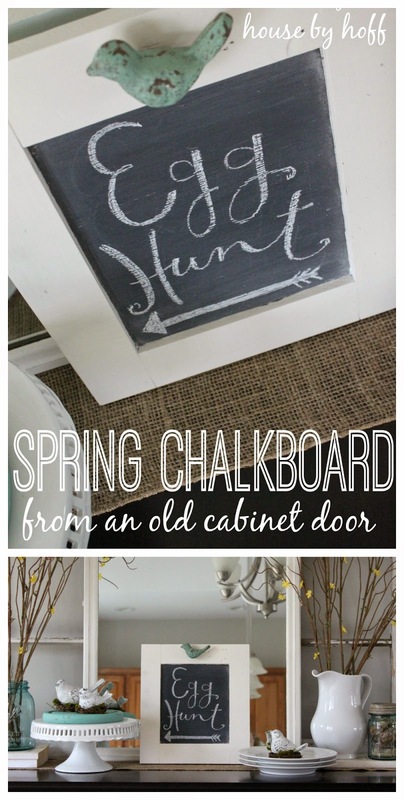 I got the itch to make a a springy chalkboard out of this old cabinet door that came off of this dry sink. Lucky for me we hit 60 degrees on Monday, so I got to have my first spray-paint day of the year! I spray-painted this little door “Dover White” by Rust Oleum. Then, I brush painted two coats of chalkboard paint on the inset. I’m in some SERIOUS trouble with a new Hobby Lobby in town. Serious trouble…. I want to go there every day. And never leave. 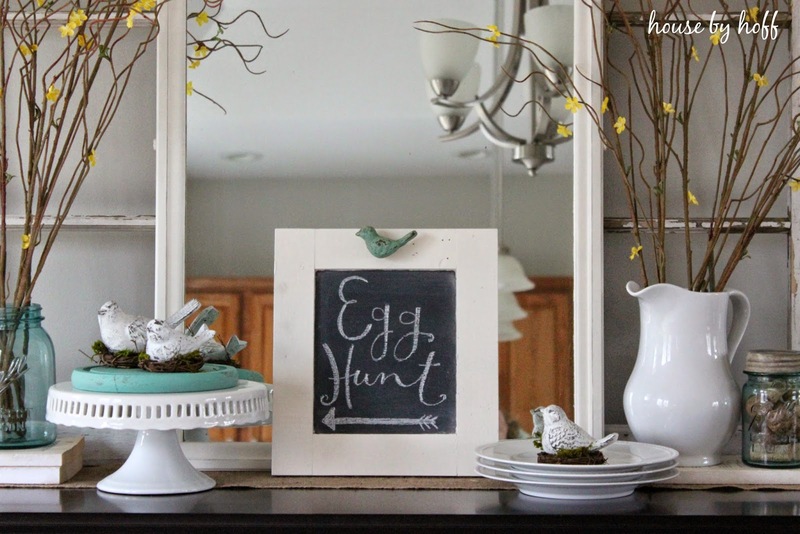 I’m kind of intentionally not showing you my entire “spring-ified” dining room. 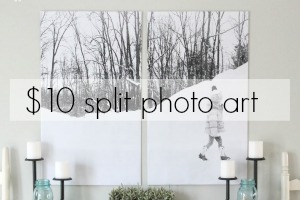 I want to wait and reveal the whole thing next week as part of my spring home tour! 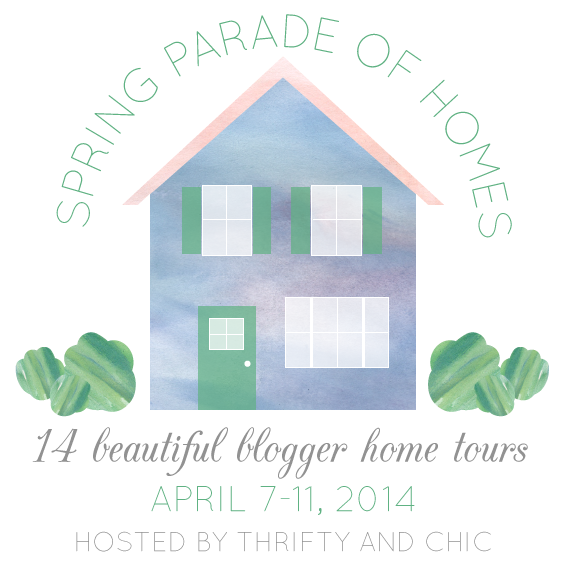 I will be taking part of this fun “Spring Parade of Homes” starting next week! 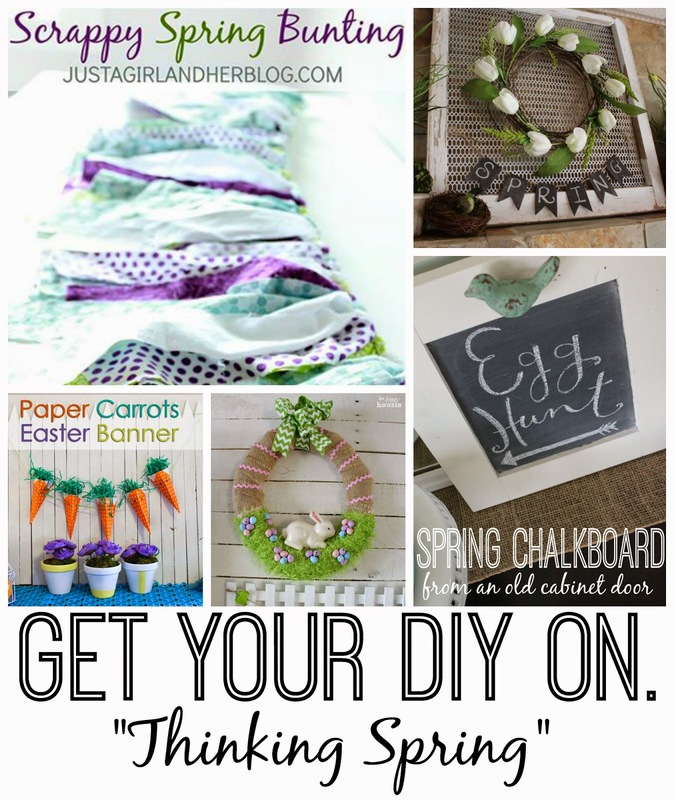 Let’s see what my “Get Your DIY On” cohosts came up with for their “Thinking Spring” projects! We’ll be hosting our monthly link up party on Sunday at 7:00 PM! 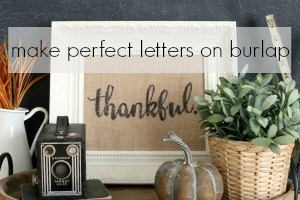 Bring your new and old Spring Projects! 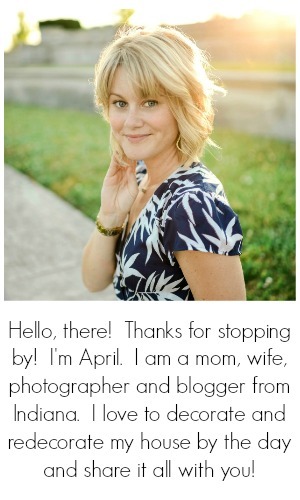 I’m linking up at: Inspire Me Please!, Work It Wednesday! Couldn’t you just roam the aisles for ever?! 🙂 Thanks, Erin! 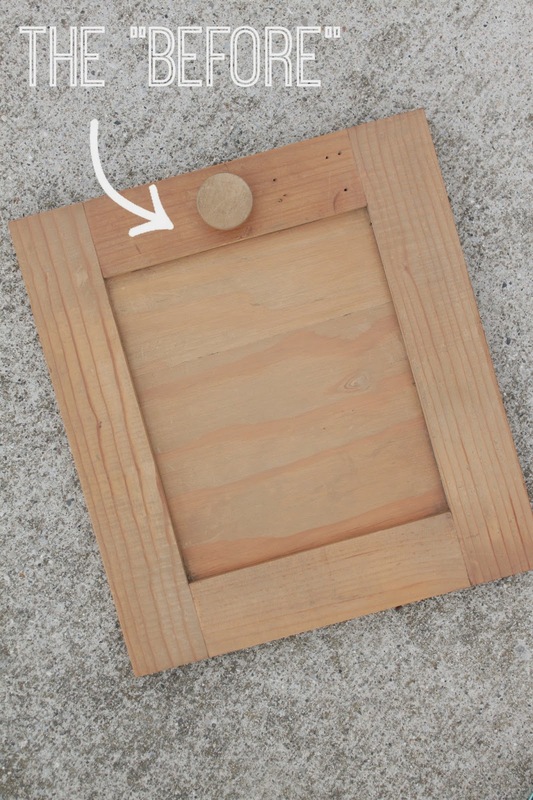 Old cabinet doors…who knew they could be so useful?! Glad you were inspired! Beautiful, April! Yay for spray painting weather! Can’t wait to check out your full tour! Yeah very cute idea. Love the green bird at the top! Is spring coming? Ever?